← Hump Day $50 Giveaway: Follow Us on Twitter! When we stayed overnight at Ascott Makati last March 31 to April 1, 2012, we went out of the hotel twice to have lunch and dinner. We had lunch at World Chicken at the Food Choices of Glorietta 4. For dinner, we went to Luk Yuen at Glorietta 5. We had the following: Noodles Cantonese Style, Sizzling Beef and Dumplings in Hot Chili. This was okay. 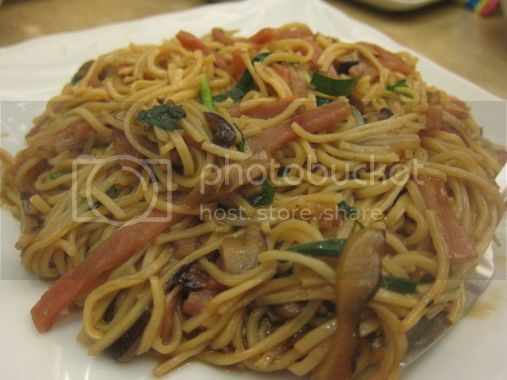 However, I still prefer Cantonese Chow Mein of Mongkok over these Cantonese noodles. Hubby enjoyed this! The beef was tasty and tender, and the snow peas on top were crunchy. 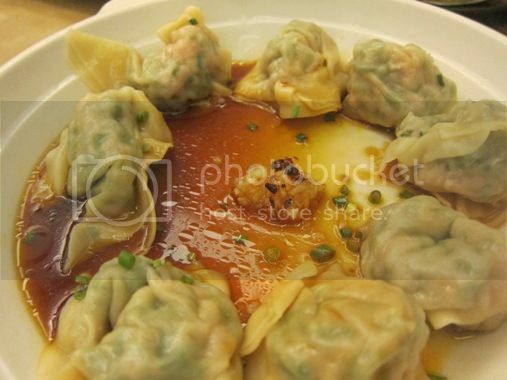 These sweet and spicy pork dumplings were delicious appetizers. These were what I liked the most. I noticed that there’s a hint of sweetness in everything we ordered, and because of that, I was craving for something salty when we left. This entry was posted in Cantonese Cuisine, Food Friday, Food Trip Friday, Luk Yuen. Bookmark the permalink. Those dumplings look delicious, will try this! I should be visiting FTF posts just before lunch. Making me crave of everything I see 🙂 I love dumplings though. i love the dumplings in hot chili. I go to Luk Yuen pag wala na talaga choice, di kasi OK ang quality ng food nila. i’ve only tried their chicken noodle soup & it’s good!! 🙂 i didn’t like mongkok kasi e, better pa North Park. I might go to Tagbilaran tomorrow for some Chinese food. These photos are making me crave for some! sarap! I would love to try them all…kakagutom! the dumplings made me hungry. weeeee miss ko na ang Luk Yuen…sarap ng orders nyo… nakaka miss lalo. hehe Visiting from FTF. 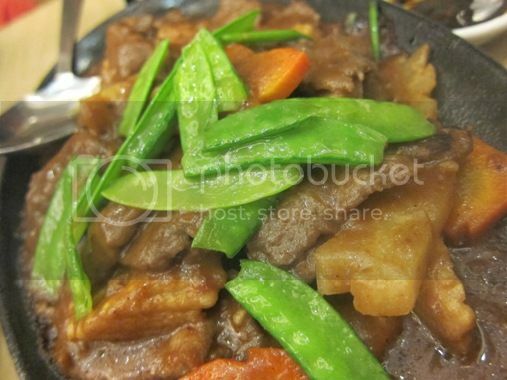 parang ang sarap nung sizzling beef! i love the cantonese style. i wonder how you keep your body slim when you’re always on a food trip. yummm…you’re making me hungry. lol. love the choices you made!